Free Shipping Included! 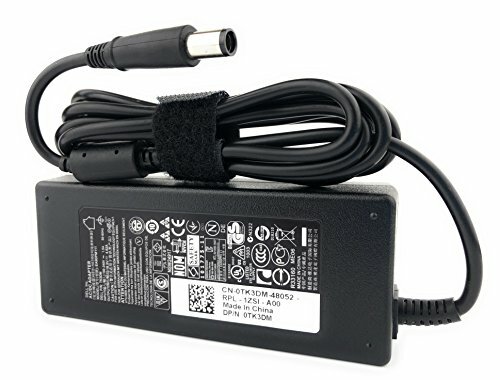 90W 19.5V Dell Charger Power Adapter Supply Cord for Latitude E6400 E6410 E6420 E6430 E6440 E5430 E5440 E5450 E5530 E5540 E5550 E6500 E6510 E6520 E6530 E6540 E7240 E7250 E7440 (Dell PA-10) by Dell at Pacs BG. Hurry! Limited time offer. Offer valid only while supplies last. This cord works with most of Dell Latitude laptop models. Works well with Studio 14 1457 1458 14z (1440); Dell Studio 15 1537 1555 1557 1558 1569 ; Dell Studio XPS 16 1640 1645 1647; Dell Studio 17 1735 1737 1745 1747 1749. Support well Vostro 3460 3560 1540 3750 and A810 Series.